Europe can no longer rely on the United States to protect it, German Chancellor Angela Merkel said Thursday (10 May), urging the bloc to take its destiny in its own hands. “It is no longer such that the United States simply protects us, but Europe must take its destiny in its own hands, that’s the task of the future,” she said, after US President Donald Trump left traditional allies scrambling by ditching the landmark Iran nuclear deal. The German chancellor was speaking at the ceremony in Aachen where French President received the prestigious Charlemagne prize for efforts in boosting EU integration and cohesion. “It is no longer such that the United States simply protects us, but Europe must take its destiny in its own hands, that’s the task of the future,” she said in Aachen. 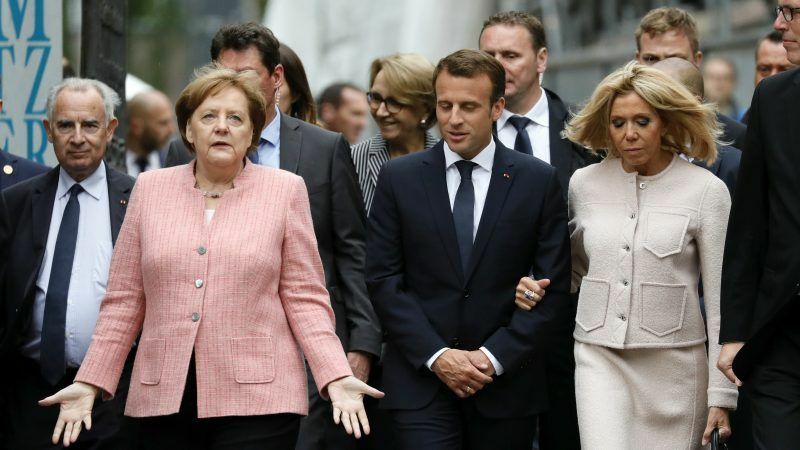 But she also acknowledged that disagreements still dog many proposals for further integration of the bloc, even though she and Macron have promised to agree on a common roadmap for the future of the EU by a major summit in Brussels in June. 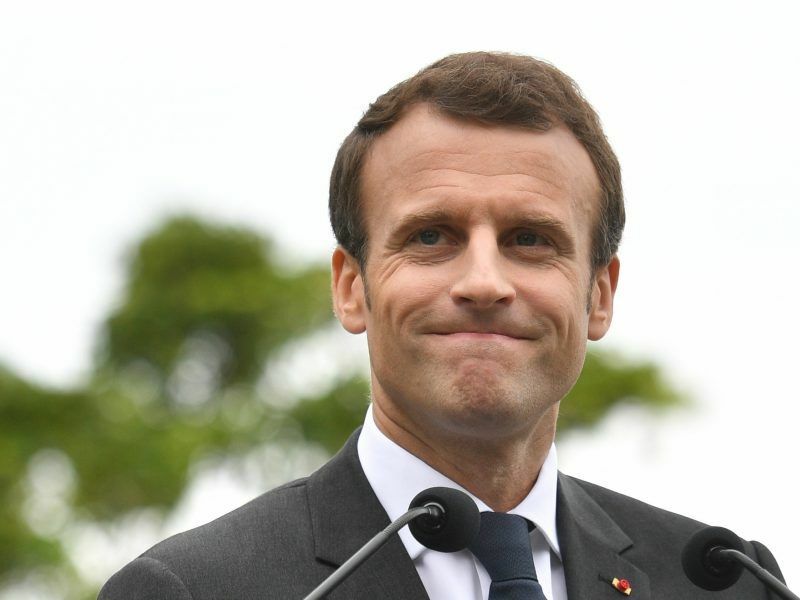 Macron has made little headway to date on a range of ambitious projects, most notably a common eurozone budget and finance minister, a joint military “rapid reaction force” and an EU tax on the revenues of technology giants. 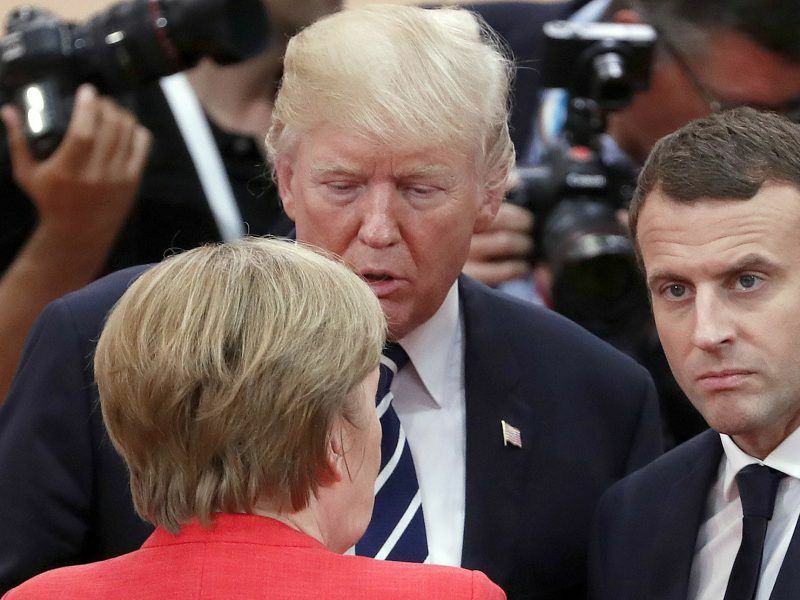 The stakes for Europe are high as France, Germany and Britain face a period of outright confrontation with historic ally United States, over both Iran and Trump’s plan to impose tariffs on steel and aluminium imports from the EU. Discussions on the eurozone are “difficult” between France and Germany, acknowledged Merkel, who was hamstrung for half a year after inconclusive elections in September left her struggling to find coalition partners. 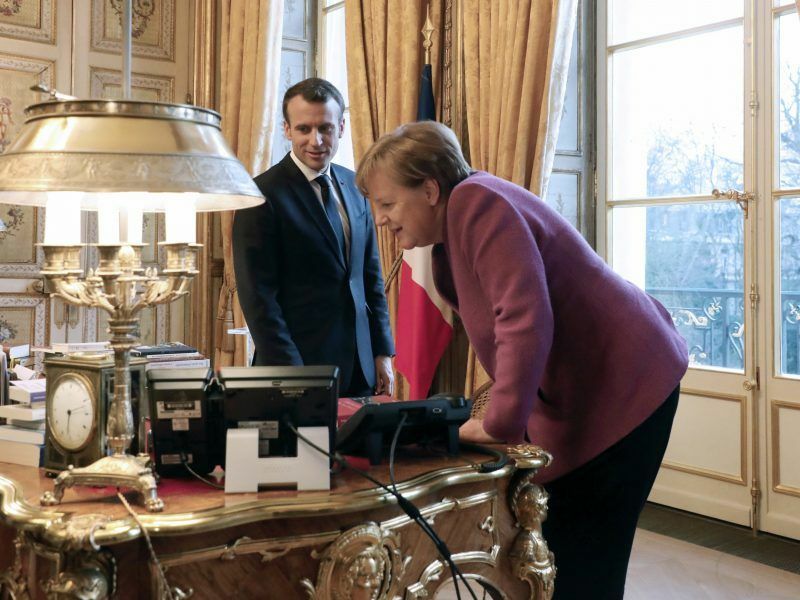 She agreed that “the European economic and currency union must be made more sustainable,” but crucially, the German leader was silent on Macron’s call for a common eurozone budget. French President Emmanuel Macron heads to Berlin Thursday (19 April) for talks with Chancellor Angela Merkel, hoping to breathe fresh life into his grand vision for EU reforms in the face of growing German resistance. Her party has also firmly slapped down the proposal of a finance minister for the bloc. Undeterred, Macron insisted Thursday that he wants “a more integrated eurozone, with its own budget”. He also took aim at the Germans over their reluctance to spend, as well as their wariness of any plan that potentially draw resources from richer countries to help out struggling ones. Germany has been under fire for keeping a tight grip on its purse strings despite its record surpluses. Berlin on Wednesday forecast that state coffers will receive around €63.3 billion more in tax intake through to 2022. Although Finance Minister Olaf Scholz pledged tax breaks and investments, he did not announce any increased in spending for Europe. Rather, Berlin has vowed to keep its budget balanced. Macron pressed Merkel to move decisively and quickly on reforming the European Union. “Don’t wait, act now,” he said, urging Germany to overcome its “fetish” for budget and trade surpluses and back reforms even if it meant loosening its purse strings. Amazon, Apple and Tesla didn’t burst on the scene by ‘keeping the budged balanced’. If you don’t sow you don’t reap. No investment no reward…only stagnation and eventually sinking into oblivion. High time the EU grew up. Is this the same Merkel that refused Trumps request to meet the minimum NATO spending target? That has an air force that recently admitted that only 4 out of its 128 fighter aircraft were operational? The US pays 70% of NATO’s needs and runs a massive deficit doing it. Germany spends roughly half the minimum required and balances its budget yet complains about the US. Is it any wonder the USA has had enough? Germany has achieved it’s wealth and surplus by not spending money on what you don’t need. So far this has worked very well. Others are not so wise and end up broke. However times are changing and old allies turn away, and to resist Russian aggression we will need a standing army to match theirs. We may not need the same number of conscripts or an equal sized nuclear arsenal, but we do need an integrated European military force, with full German contribution and support, large and capable enough to push whatever would cross that border back. In that respect there still is a long way to go. They had better take it serious and make hurry with it. “Europe can no longer rely on the United States to protect it”……………from……………who? Trrists? EU has, mostly its act together on this one. Russia? really? Putin is going to invade …. Poland? or Romania, or – I dunno – Malta? That said, a Euromacht might not be a bad idea – but please ditch the tanks – they are soooo WW2.